The Republic of Maldives is one of the most unique geological places on our planet. Made up of 26 atolls and over 1,150 islands spread across approximately 35,000 sq. miles. It is one of the most dispersed countries on earth. It is also the lowest country on earth with more than 80 % of the country’s land less than one meter above sea level. The Maldives lies close to the equator between latitudes 1°S and 8°N and longitudes 72° and 74°E. While these islands are one of the most beautiful places on earth, the Maldives has been challenged with high sea temperatures. In 1998, sea-temperature warming of as much as 5 °C (9.0 °F), due to a single El Niño phenomenon event, caused coral bleaching, killing almost two thirds of the nation’s coral reefs. To induce the regrowth of the reefs, scientists placed electrified cones anywhere from 20–60 feet (6.1–18.3 m) below the surface to provide a substrate for larval coral attachment. In 2004, scientists witnessed corals regenerating. Corals began to eject pink-orange eggs and sperm. The growth of these electrified corals was five times faster than untreated corals. Again, in 2016, the coral reefs of the Maldives experienced a severe bleaching incident. The surface water temperatures reached an all-time high in 2016, at 31 degrees Celsius in May 2016. Over 95% of coral around the islands died, and, even after six months, 100% of young coral transplants had died. While this event challenged the local marine life, a trip to the Maldives will not disappoint. The biodiversity on the reef is still incredible. During our trip, we visited two separate islands in addition to Male. The first, Vommuli Island located in the Dhaalu Atoll, is approximately 69 km south of the capital Male and is reached via sea plane. The St Regis resort on the island opened in September of 2016 and had been open a little over 9 months when we arrived. The hotel occupies 100% of the island and houses about 200 staff in addition to hotel guests. When you arrive, you are greeted by some of the hotel staff lined up on the dock and waving. Think Fantasy Island. da plane, da plane…..
Getting to the island requires a short sea plane ride from Male. The St. Regis will meet you at the international terminal and take you to a private lounge at the Sea Plane terminal to wait on your flight. You can get light hors D’oeuvres, snacks and drinks while you wait inside a small but nicely appointed lounge. The trip on the sea plane is only about 45 minutes and usually you make one stop to drop off other passengers at other resorts before you arrive at o the St Regis. Like many resorts in the Maldives, we were assigned a personal butler to attend to our needs during our stay. This is where it gets a little creepy. The hotel will go online to look up guests, go to their Facebook page if it is accessible, or other social media sites to find out about the guests. One couple on their honeymoon told us that the hotel had printed copies of photos from their wedding that were posted on line and had them in their room when they arrived. The staff on the island are also supposed to know the guests. They use Whatsapp to communicate information about guests to other staff members. So, when I went out for a dive one day and came back looking for my wife, the first staff member I came too told me where she was and what she was doing. This place was over the top with service. This hotel provides a wide range of amenities, including water sports, boat tours around the area, tennis, yoga, complete fitness center, great pool, and a beautiful library. At this type of property, your only options are the activities on the island. We came to dive in the Maldives so no problem, we were in the water every day. For others visiting these islands, you should consider carefully the activities available at the resort you choose. The diving here was a bit expensive, but the service was amazing. Your Butler will arrange almost any activity you desire and virtually whenever you would like it. They even provided bicycles to our room, so we can ride to and from our over water villa back to the main part of the property. Food on the island was amazing. From the marvelous breakfast buffet at Alba, to the Orientale, great Asian cuisine, to the Whale Bar you will not be disappointed. Cargo and Crust offer casual beach front dining and you can always order room service. If you like wines there is a very interesting underground wine bar, Decanter where you can sample a variety of wines during an elegant bespoke five-course meal. You can arrange a private dinner on the beach or on a roof top where the view of the stars is breath taking. A thoroughly wonderful experience that I would love to do again. Coral Bleaching threatens much of our fragile coral reefs around the world. In 1998, sea-temperature warming caused extensive coral bleaching in the Maldives. As a result, almost two thirds of coral reefs died. Again, in May of 2016, the coral reefs of the Maldives experienced a severe bleaching incident. The surface water temperatures reached an all-time high in at 31 degrees Celsius in May 2016. Consequently, over 95% of coral around the islands died. In Australia, back-to-back bleaching events in 2016 and 2017 devastated a 1,500 km stretch of the famous barrier reef. While, before 2016 there had only been two bleaching events along the Great Barrier Reef in the past two decades. Coral Bleaching – Why should we be concerned? Coral reefs cover less than one tenth of one percent of the earth’s oceans. 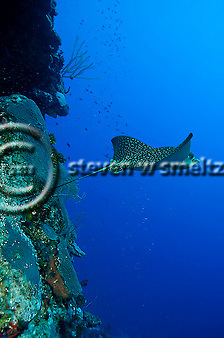 Yet these same reefs contain one quarter of known marine fish species (Smithsonian Institute). 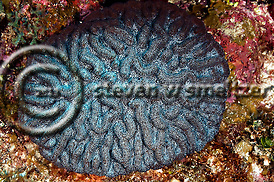 Reefs are formed by Corals “… animals that live in symbiosis with algae, a plant,” according to Jessica Bellworthy a PhD student at Professor Interuniversity Institute for Marine Sciences. The university’s study Red Sea corals seeks to understand their ability to resist extreme temperatures. Corals and algae “provide services for each other,” with the algae providing “up to 90 percent of the coral animal’s food” through photosynthesis, said Bellworthy. “When ocean temperatures get too hot, this symbiosis, this relationship, breaks down,” she said. 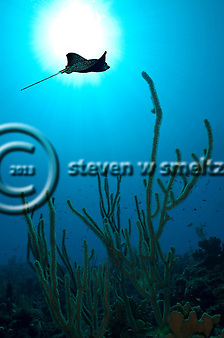 Yet in the Red Sea, where I have been diving many times, ocean temperatures can be much higher. 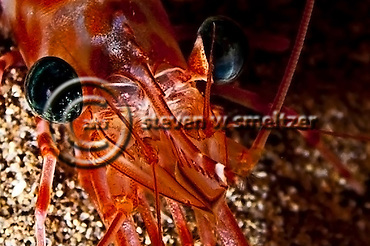 The Red Sea routinely experiences temperatures higher than the Maldives or in Australia. So, could the Red Sea corals offer an opportunity to introduce “bleach resistant” coral into other threatened areas? Dr. Fine’s research regarding Red Sea corals provides potential avenues and approaches to protect our coral reefs in the future. Scripts Institute conducted a study of coral bleaching in the central Red Sea in the summer of 2010. During this event the region experienced up to 10-11 degree increases in temperature many of weeks. The study found that shallow reefs and inshore reefs had a higher prevalence of bleaching. While Red Sea reefs are subject to increasing temperature pressures, the study showed that these reefs have a much higher temperature change tolerance. Therefore, the implications are quite clear. Corals that have lived and thrived in higher temperature environments are better suited to survive higher temperature seas in other areas. Consequently, saving our coral reef system is critical to maintaining food stock, industries and related jobs in many countries around the world. In conclusion, introducing non-native species into a specific environment poses a number or questions and risks, yet a key question remains. “Should we introduce corals that are already acclimated to higher temperatures to other environments?” Finally, this answer could determine our ongoing ability to feed ourselves and our children in the future. 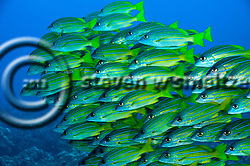 First Cathedral is one of the most visited scuba diving sites on Lanai and in Maui County. 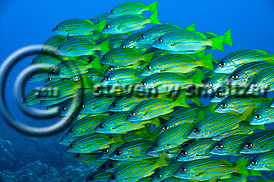 It is a dual pinnacle site and is also one of the largest scuba diving sites in Maui County. The mooring at the pinnacle is about 35 feet deep on the shallow portion and has a large arch on the west side. The northern side of the site has a wall with lava caves, crevices to explore and a swim through arch. A sand channel separates this from the wash rock pinnacle that comprises First Cathedral. The large cavern, of the Cathedral, has a maximum depth of 45’-50’ deep and a ceiling overhead which is approximately 20’ high. It has a lace work of openings in the lava on the east wall that allows light to flow inside. These openings seem very much like stained glass windows within a church or cathedral. When you enter the water on the mooring you you will swim first toward the Pinnacle containing the lava tube known as First Cathedral. Then after exploring the “Chapel” as I like to call it, you exit rather quickly, or as some like to say, you are flushed from inside First Cathedral to reef outside. There is an opening on the inside of the Cathedral which has water rushing in and out with the actions of the waves. You swim to the exit “portal” and then hold on as the water rushes into First Cathedral and then when the flow reverses you enter the portal and are rather quickly deposited on the outside of the reef. This is not as intimidating as it might first seem as the opening is fairly large and you only travel a short distance before exiting on the reef. 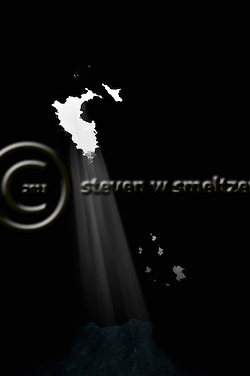 That said, if you have a camera, please bring the strobes in before entering the portal and you should not have any trouble. If this is too much excitement you can exit the Cathedral the same way you entered and simply swim around to the other side. First Cathedral is an ancient lava tube that has several openings on the upper portion and side of the cavern. 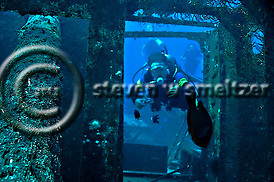 These openings allow light to pass through them and provide some great opportunities for underwater photography. I especially like black and white images of the cathedral as they seem to provide the most dramatic effects with the light. The ceiling “window” provides very good lighting (assuming sunny skies) on a rocky outcrop in the middle of the room and you can see “rays of light” shining in from the top of the dome making for some interesting underwater photography. The opening to enter the cathedral is very large and should not cause anyone concern. First Cathedral can hold many scuba divers at one time but I find it best, especially when trying to take photographs, to be in a small group or be first. 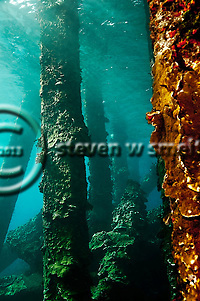 Having a larger number of divers will stir up a good bit of sediment making it especially difficult to take good shots. It is also better to be in “group 1” verses “group 2” if you have a large number of divers on the boat as the silt in the Cathedral will tend to get stirred up as more divers are going through the cavern. Once inside First Cathedral, you will find a number of different fish species and more than likely a school of Brick Soldierfish up towards the ceiling. 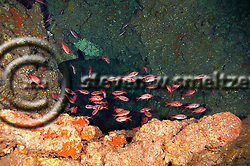 When you exit the cavern you will be on a portion of the reef that usually has a nice diversity of marine life. You will head towards a swim through where you will find a number of different butterflyfishes, moray eels, frogfishes, nudibranches, goatfishes, and much more. There are several archways to swim thru and the coral gardens are great places to look for eels, shrimps, and small crustaceans. So take your time on this site and you will be well rewarded. 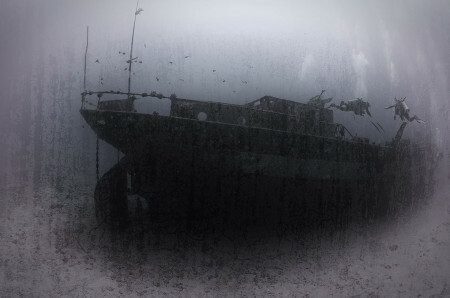 Some of the most interesting types of shipwrecks for scuba diving are the purpose sunk ships that have been scuttled to create artificial reefs. After adequate preparation, this is a wonderful way for older ships to give not only a benefit to scuba divers but also a shelter to a variety of marine organisms (see National Geographic article “Artificial Reefs: Trash to Treasure” February 5, 2001). globally. Studies from the Red Sea and other locations tend to show that there is little difference between developments of an artificial reef as compared to natural reefs. Artificial reefs made from steel vessels offers long-term development for the reef and immediate space for organisms to inhabit. PADI and NAUI offer specialty shipwrecks diving courses to train divers in “safety, hazards and cautions, special risks of overhead environments, entanglement, limited visibility, deep diving, equipment, site of wrecks, sources of information, search methods, underwater navigation, legal aspects, artifacts, treasure, salvage, archaeology, and much more”. 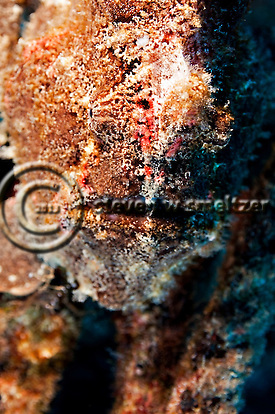 Wreck diving can be a wonderful experience for any diver. However, before penetrating any ship the diver should have adequate training according to the state of the ship being explored. Deep water wrecks, “natural” shipwrecks, etc., should only be explored by experienced and trained divers using appropriate safety gear and precautions. 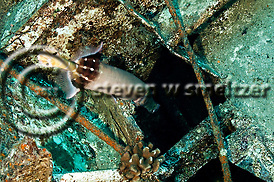 Unlike true shipwrecks many reefed ships such as the USS Kittiwake in Grand Cayman, have been extensively prepared for reefing to make entry, exploration and exiting the ship relatively safe and easy. However, many older reefed ships should be approached cautiously and if the diver is not “wreck” certified penetration of the wreck should not be attempted. They key is to understand the condition of the wreck and what the diver is likely to encounter before entering the water. 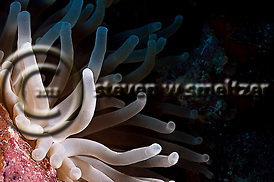 Use of a high quality scuba diving operation will greatly add to the safety and enjoyment of the diving experience. 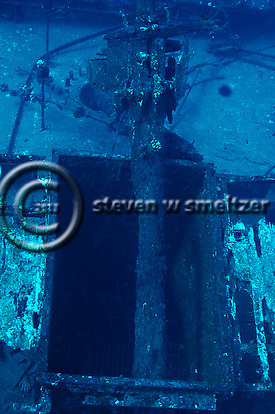 As an underwater photographer, shipwrecks hold a special fascination to me. To be able to capture the mystery and character of the ship in a photo is a special challenge. However, there are those moments when you are able to get everything just right and the photo seems to come alive. The ability of a photo to transport the viewer into the image and experience the wonder of the moment is the real test of a truly amazing photo. *Note: While there continues to be some debate about the benefits of creating artificial reefs, the benefit of these reefs can be clearly seen from many long-term – 20 year plus artificial reefs in the Atlantic, Pacific, Mediterranean and other locations. You can read more about reefing of ships at www.natgeo.com and many other websites and review “National Guidance: Best Management Practices for Preparing Vessels Intended to Create Artificial Reefs” which was developed by the USEPA and the US Maritime Administration. 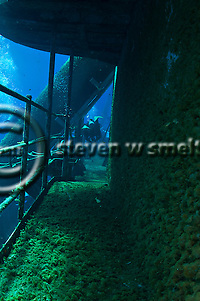 Come explore my shipwreck diving photos in the following galleries on my website and remember “the pool is open”. The Carthaginian Shipwreck was once used as a whaling museum. 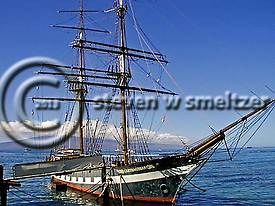 It is a replica of a 19th century brig which is similar to the ships that first brought commerce to the Hawaiian Islands. The ship was originally a cement carrier built in Germany in 1920. The ship was purchased by the Lahaina Restoration Foundation and rechristened the Carthaginian II. It sailed to Lahaina in 1973 where it took seven years for the historically accurate 18th century whaling ship rigging to be assembled. The ship served as a reminder of Lahaina’s nautical heritage and was docked for many years at Lahaina Harbor. The Lahaina Restoration Foundation operated a museum on board that displayed relics of Lahaina’s historic whaling days. Although it had no true historical value, the Carthaginian II was one of Lahaina’s most recognizable attractions. It was featured in thousands of artworks and visitor photographs for over the 30 years. As the ship aged it became more difficult to repair. The Lahaina Restoration Foundation was eventually spending about $50,000 a year to maintain the rusting hulk. When marine engineers advised against further repairs Atlantis submarines was approached to claim the vessel and use it as an artificial reef. This would in turn enhance the existing Atlantis submarine tours in Lahaina. On December 13, 2005, following two years of preparation, Atlantis Adventures sank the ship off Lahaina, Maui. The reefing took place off Puamana which is just outside the Lahaina harbor. The 97-foot, steel-hulled vessel, sank in 95 feet of water where it rests upright on its keel. Creating an artificial reef with the Carthaginian shipwreck was an extensive effort that will have long lasting marine life benefits. The first Carthaginian was a replica of a whaling supply vessel used for the 1966 movie “Hawaii,” based on the James Michener novel. The Lahaina Restoration Foundation purchased the wooden boat, but it sank in 1972 on its way to O’ahu for dry dock. The German vessel was acquired and was rechristened the Carthaginian II and after extensive work served the city as a floating museum for many years. Atlantis spent approximately $350,000 on the Carthaginian shipwreck project, including preparation of environmental studies. American Marine Services was hired to handle reefing operation. Before the Carthaginian II was towed from Lahaina Harbor, entertainers from the Old Lahaina Lu’au performed “Aloha ‘Oe” and members of the Lahaina Restoration Foundation placed lei on the vessel and held signs bidding it aloha. A flotilla of about 20 boats was waiting when the Carthaginian II arrived at Puamana, and spectators lined the shore or pulled over on Honoapi’ilani Highway to watch the spectacle. Kahu Charles Kaupu offered a Hawaiian blessing, and after a 3-ton anchor was secured to the bow and the boat was in position. Patches were then removed from two sets of holes that had been cut into the hull about 18 inches above the water line. Seawater was pumped into the hull, and 27 minutes later the Carthaginian was headed to the sandy bottom. Observers let loose with applause and whoops of appreciation as the ship quietly slipped beneath the surface. Aboard the Atlantis shuttle boat three air-shattering blasts were fired from miniature brass cannon to mark the occasion. The Carthaginian shipwreck lies in about 90 feet of water of the coast of Lahina. It is about a 10 to 15 minute trip from the harbor to the dive site. 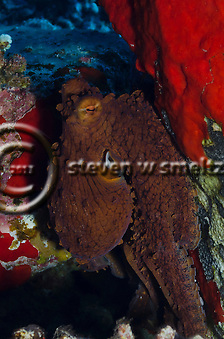 The ship was sunk approximately 6 years ago and now supports a wide variety of marine life. 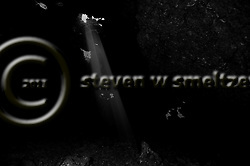 When you begin to descend from the mooring ball you will normally be able to see the outline of the ship quite easily. The visibility is usually 80+ feet and much of the time over 100+ feet. 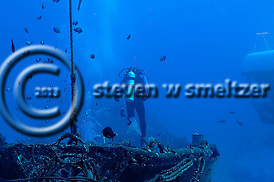 There can be some current on this site so some divers may want to descend using the mooring line. As you descend to the Carthaginian shipwreck you will begin to notice more details regarding the ship and the impacts of being on the reef for a number of years. The main mast collapsed in mid-summer 2011 and can now be seen sitting on the deck. The main cabin roof and walls have deteriorated to some degree and there are numerous holes into the hold. The access to the hold itself is quite large and easily accessible. The engine room and forward compartment is blocked by a gate but you can still get a good variety of photos in this area. The rear area of the cargo hold is fairly clear and at the present time will contain various fish species or crustaceans as they are moving about the ship. There are a number of frogfish on the Carthaginian shipwreck and I was able to photograph five different frogfish on my last dive. These fish are extremely well placed for macro photos and can consume a lot of bottom time, but it is well worth the effort. Two frogfish were on the main deck to the rear of the main cabin and three were on the starboard side about the midships area. You will also find a wide variety of fish including, Pacific Trumpetfish, Sergeant Majors, Dascyllus, Orangespine Unicornfish, Rainbow Cleaner Wrasse, and many more. The Carthaginian shipwreck dive is best when there are less than ten divers in the water since the ship itself is not very large. 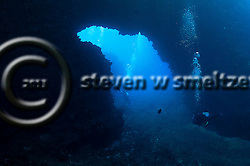 It is a very worthwhile dive and I highly recommend it for your next trip to Maui.